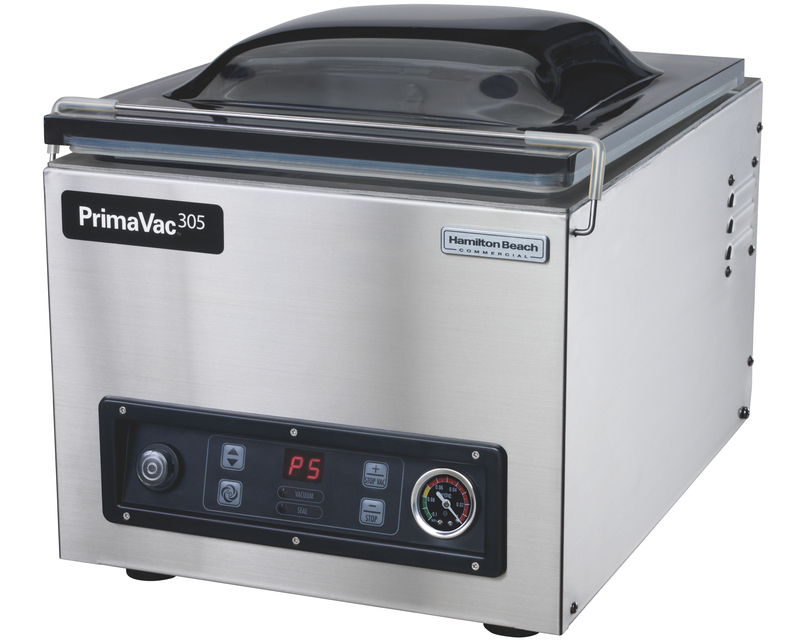 The PrimaVac™406 is ideal for large volumes and is capable of packing two 8” wide pouches at a time. 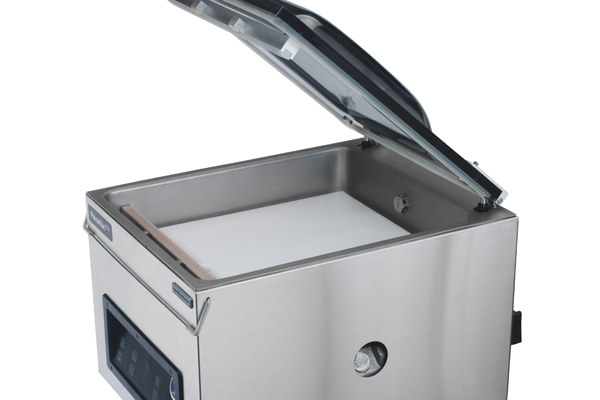 In addition, it can also hold larger containers and jars for additional processing options. 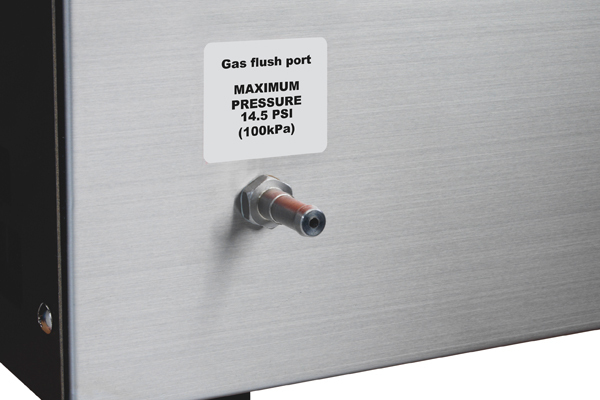 The Gas Flush Feature is specifically designed for packaging delicate ingredients, and is available only with the PrimaVac™406. 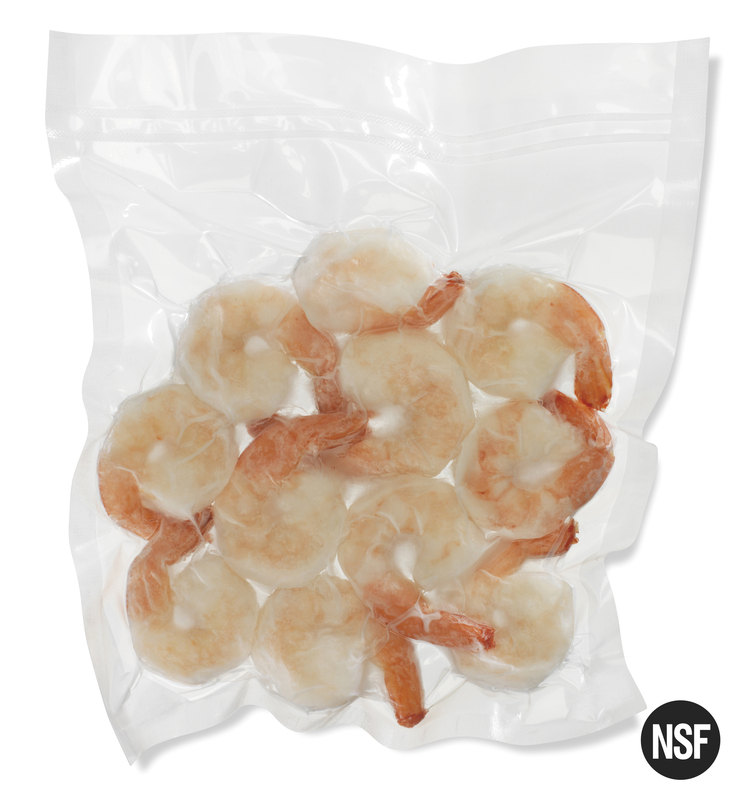 By replacing oxygen with inert gas, Gas Flush helps to preserve the color and texture of certain foods and minimizes the potential of crushing fragile contents by creating a pillow effect. 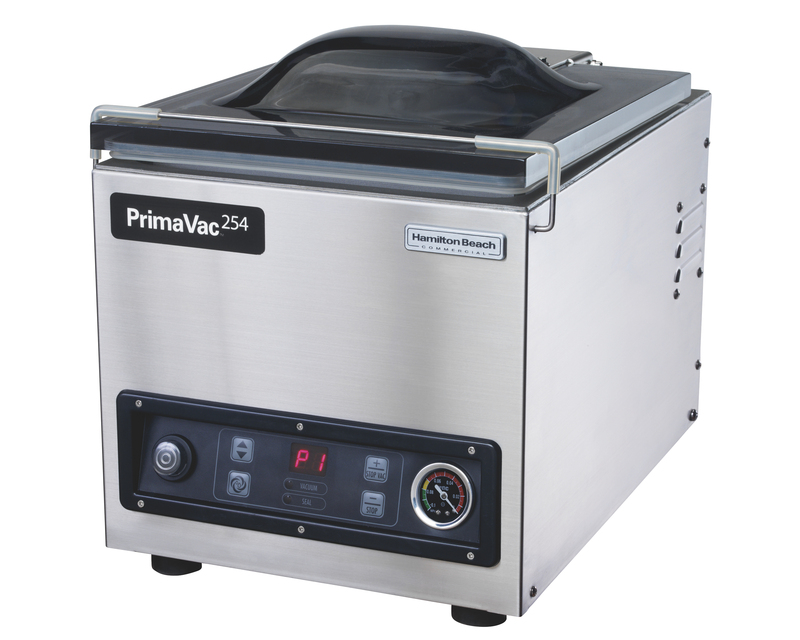 The PrimaVac™ 406 features our largest chamber size and can handle bags up to 16 x 20 / 40cm x 50cm. 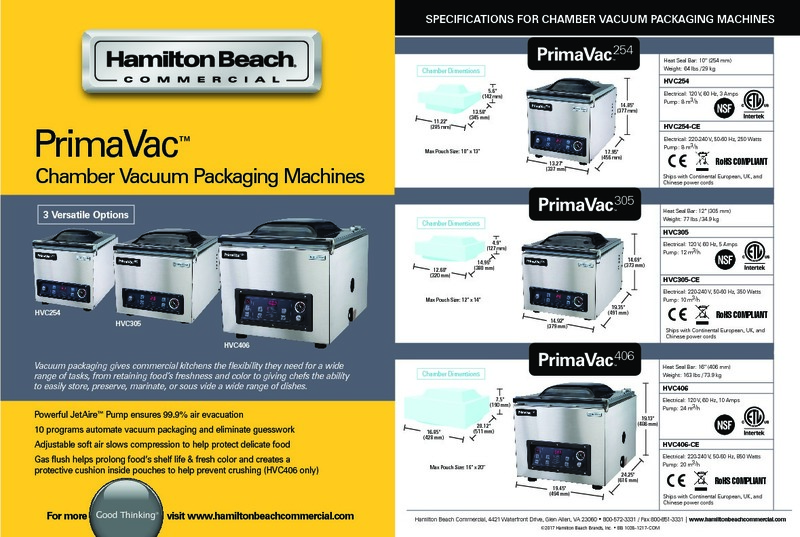 Plus, you can seal two bags in one vacuum/seal cycle with the largest seal bar in our PrimaVac™ in-chamber line. 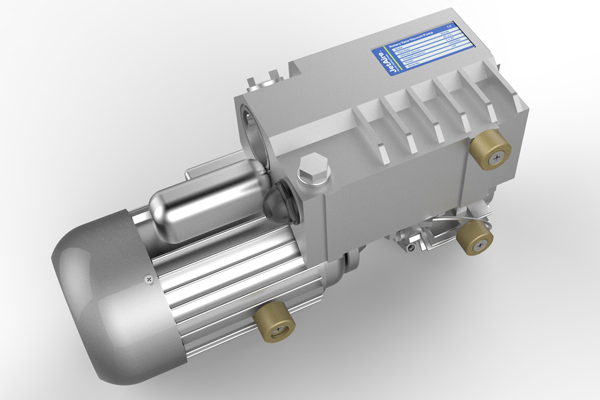 The JetAire™ pump in the PrimaVac™ 406 has a pump capacity of 24 cubic meters per hour in the 120 volt version and 20 cubic meters per hour in the 230 volt, and removes up to 99.9% of air. 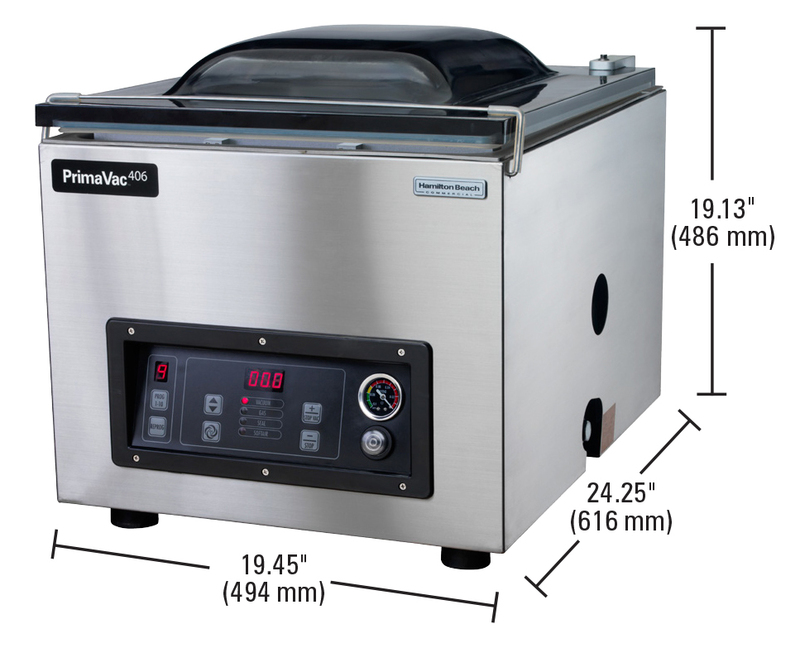 Designed for PrimaVac™ vacuum sealers, our high-performance JetAire™ rotary vane pumps are built with the finest materials to offer robust, long-lasting service in commercial and institutional kitchens. 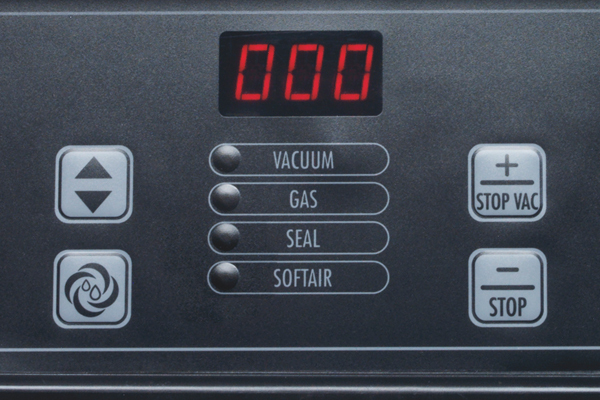 Custom programming lets you select the perfect soft air setting and adjust vacuuming, sealing, cooling and gas insertion times for different food and culinary applications. 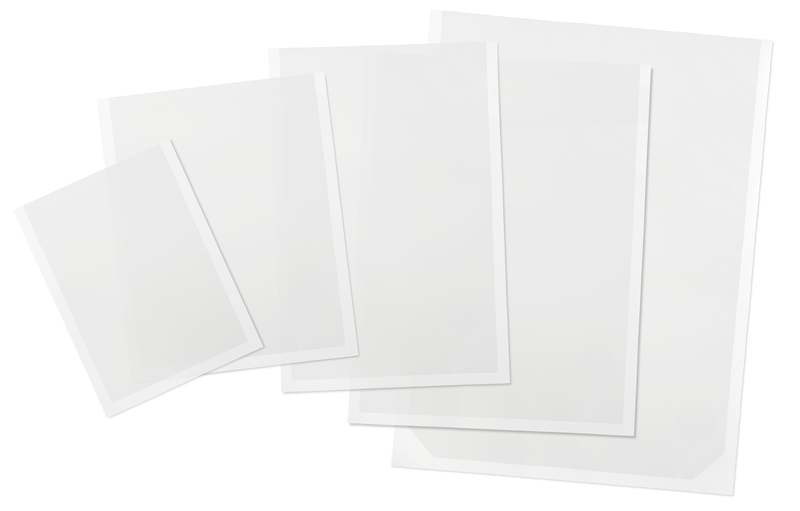 Choose from preloaded programs provided with the unit or overwrite them with your own. 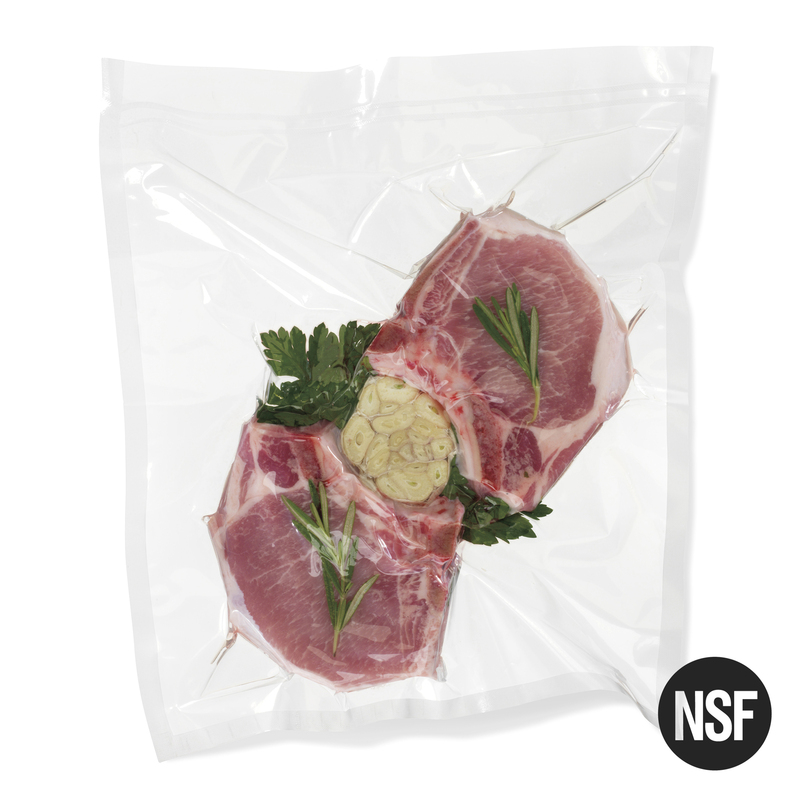 This specialized function (also called MAP) flushes the pouch with inert gas and is perfect for leafy vegetables, raw meat, and baked goods. 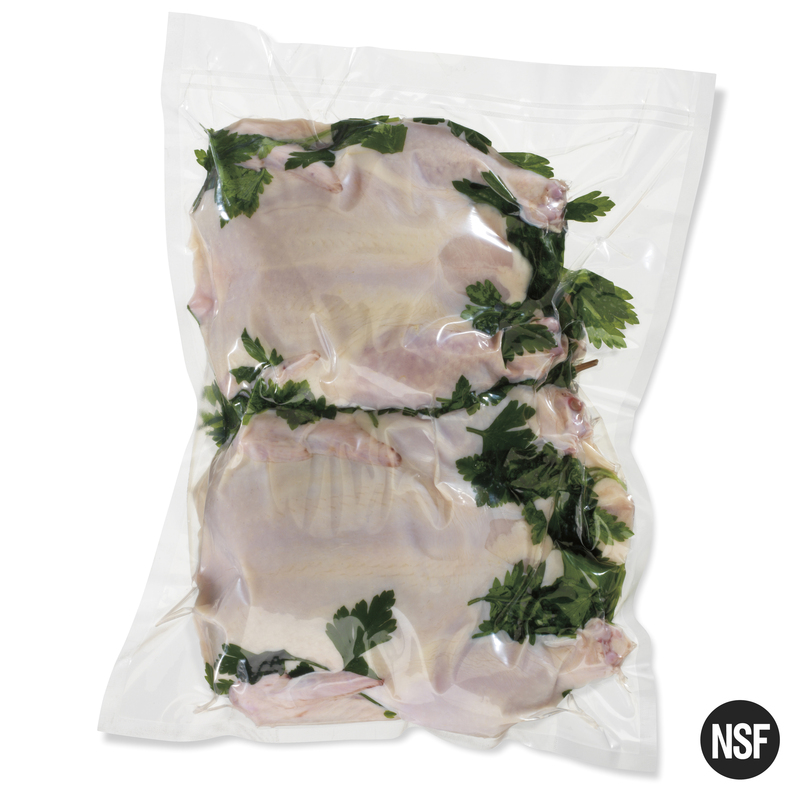 It creates a protective layer to help keep food from being crushed, while helping to prolong foods shelf life and fresh color. 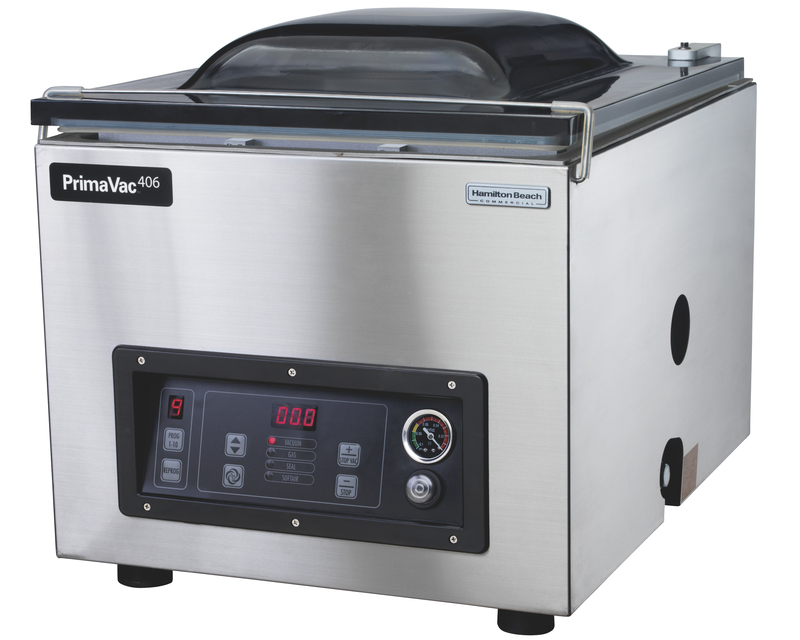 Customize vacuum and sealing times, soft air time, and heat bar cooling time to produce exactly the results you need. 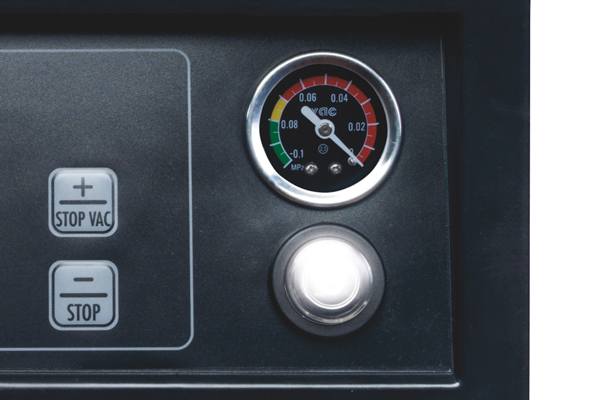 LED lights on the control panel not only remind you which element youre adjusting, but also lead you through each phase of the vacuum cycle as it operates. 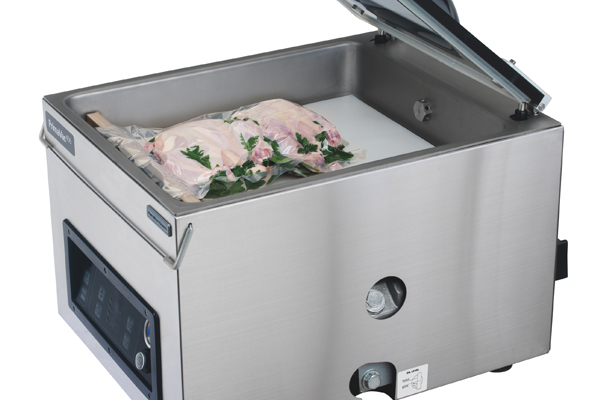 Optional in most other brands, this feature allows you to adjust the desired time to allow air back into the chamber according to the food being processed. 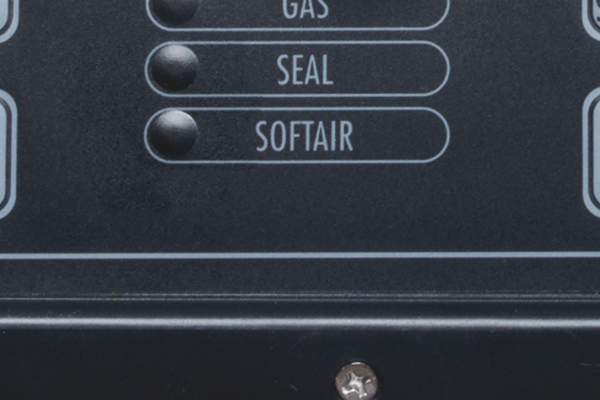 Indicates amount of air extracted from chamber so that the operator can stop the vacuum pump mid-cycle when a partial vacuum is required. 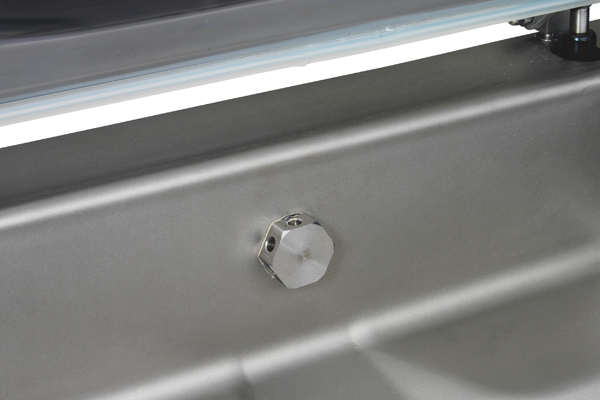 Each unit is engineered with materials designed to withstand the rigorous demands of a commercial or institutional kitchen. 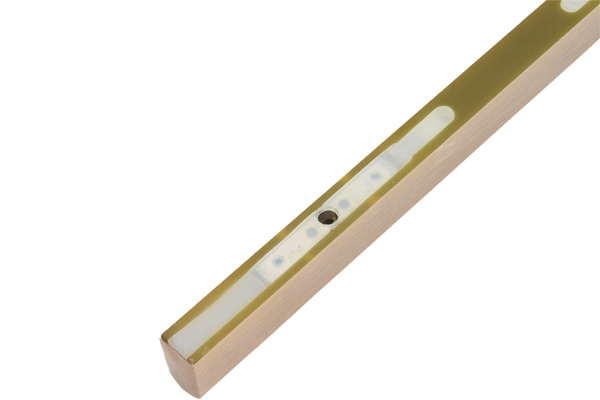 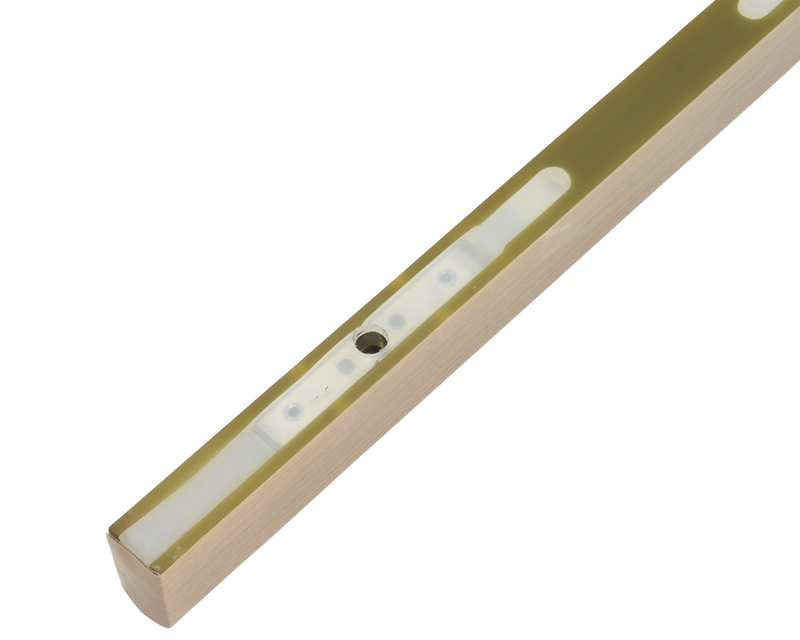 The removable heat seal bar is protected with a silicone pad for easy cleaning and food safety. 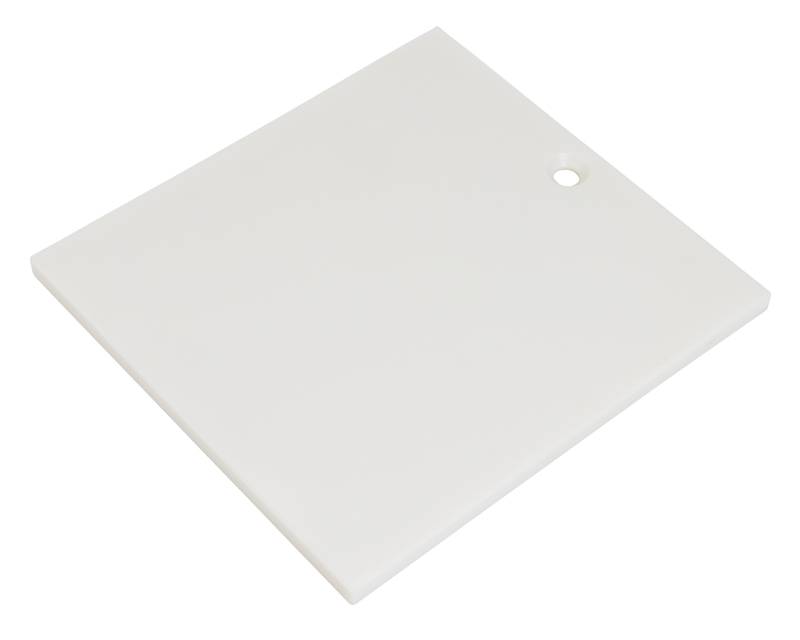 The removable filler plate displaces air to reduce vacuum time or lifts out to provide room for bulky food. 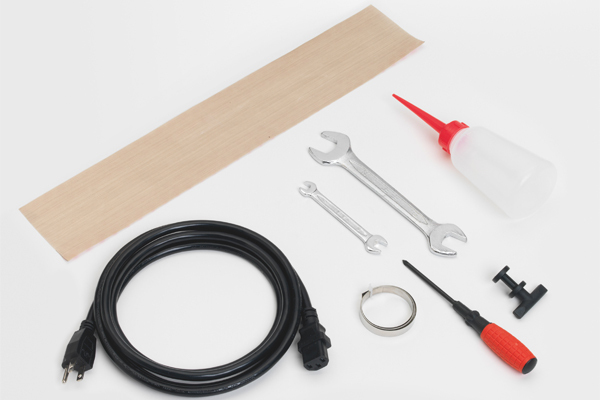 PrimaVac™ machines come with everything you need to keep them functioning at peak performance. 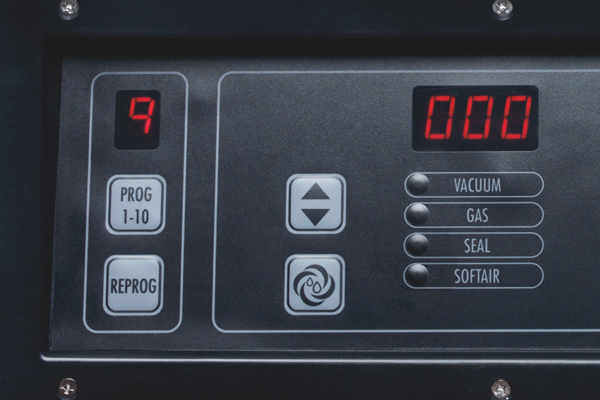 In addition, each PrimaVac™ features an oil change reminder and built-in oil preheating function to keep the JetAire™ pump at its best. 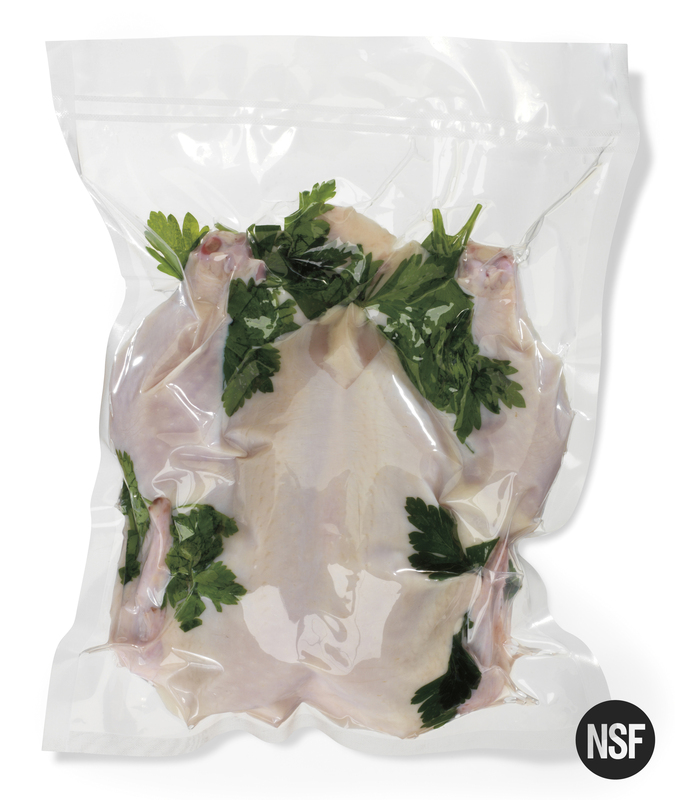 PrimaVac™ Pouches are designed to work with any in-chamber vacuum packaging machine and feature 3mil and 4mil thicknesses in a wide variety of sizes. 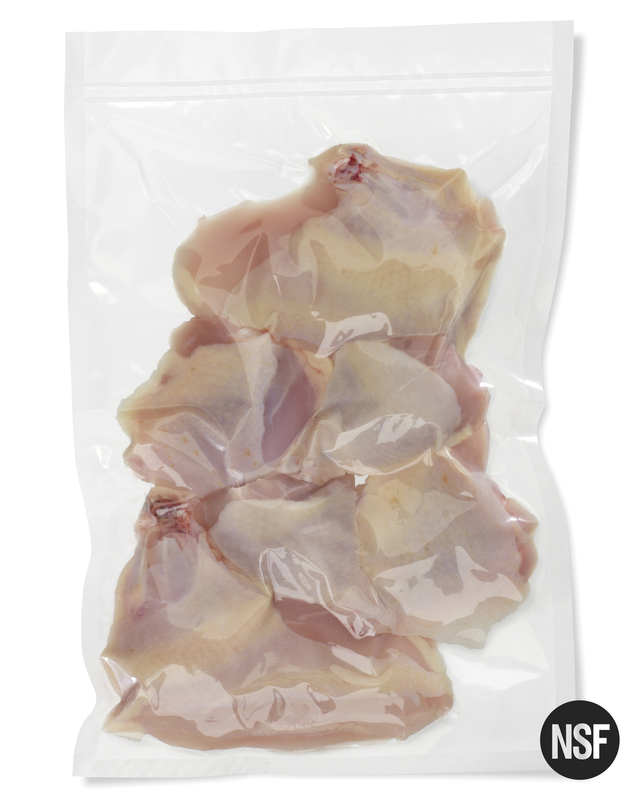 Our selection suits every food, from the most delicate to wet, dry or bone-in. 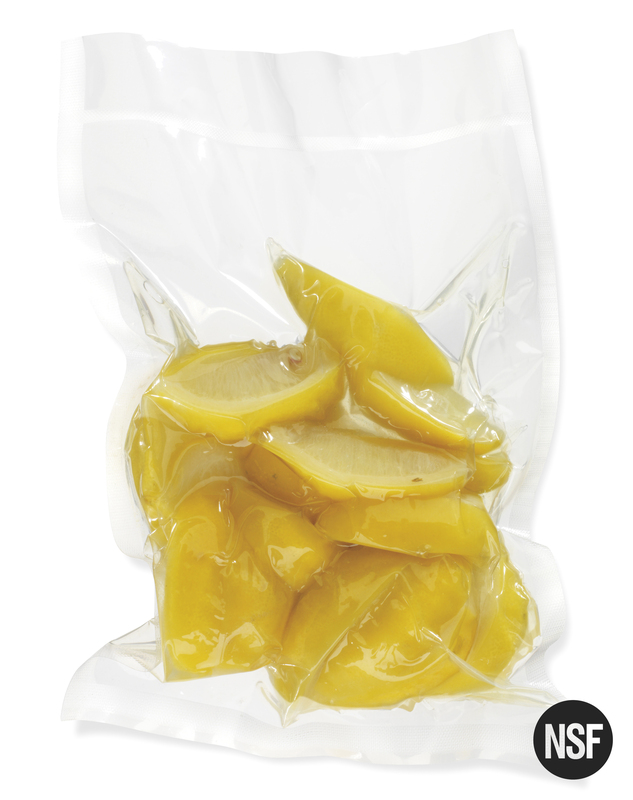 PrimaVac™ Pouches are made from 9 layers of BPA-free, FDA-approved films and resins. 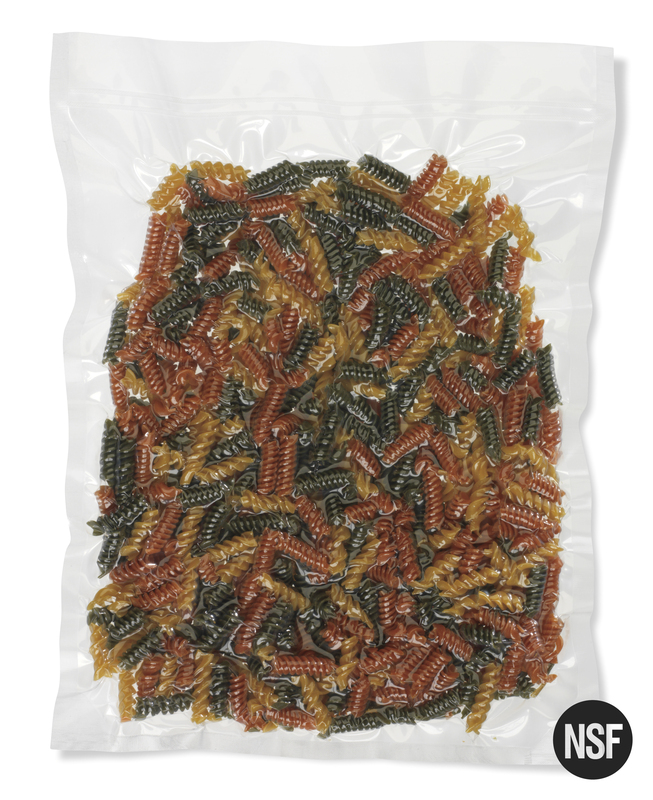 Retherm pouches offer the added benefit of allowing food to be boiled, microwaved, or frozen without compromising the contents.